How do you feel about the yellow color? 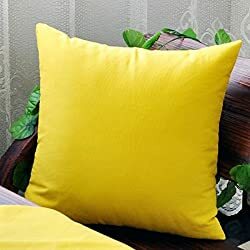 The yellow is a warm color and it’s noticeable – if you buy a pillow that is mainly colored in yellow, it’ll be one of the first things that you’ll notice every time you enter your home. So, it’s really important that the yellow is your favorite color and it describes your personality. Then you’ll feel really comfortable after purchasing and using the yellow colored pillow. If you believe in symbolism then you should know that the yellow color have double symbolism – it may represent joy and happiness, but it can be a symbol of deceit and cowardice as well. The color combination is a key factor for the successful home decoration, so you’ll have to carefully plan how you’ll combine your yellow pillows with your furniture and other things in your home. The yellow color could bring some warm in the cold palettes such as grays and blues. You can mix yellow pillows with orange furniture to carry out a summery, healthy, and a citrus theme of your home decoration. 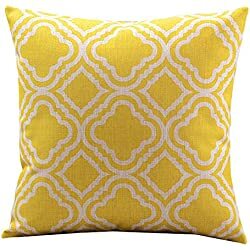 If you have pillows that are colored in pale yellow, you can use them as neutrals alongside richer or darker colors. If prefer eye-popping combination, you can combine your yellow pillows with blue furniture. The high-tech look could be made by combining a dash of black or neutral gray with yellow colored pillows or cushions. If you like hot themes then you can mix red with yellow. 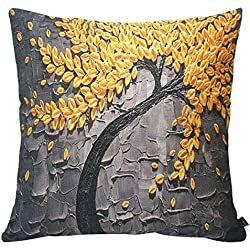 In conclusion, the yellow pillow could be combined with many colors such as browns, greens, blues, red and other neutrals which will bring a psychedelic, sophisticated, and earthy look of your home interior.